Home > guest bloggers > Brewmasters.Club - Ask more from your beer! 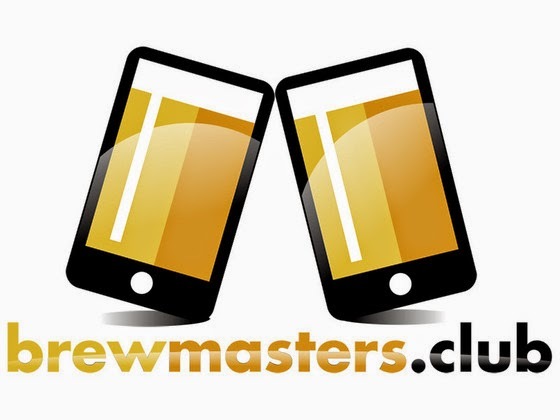 Brewmasters.Club - Ask more from your beer! Are you Getting *the most* out of Your Beer? The vision of the BMC is to develop and ever changing and evolving beer pairing app fueled and perfected by you! Functioning as a pocket guide to pair your favorite beer with your favorite food. Eating burgers tonight? Find out what beers go good with cheese & bacon. Once the app is open, simply select the food you either are eating, or would like to eat. Then select the way it will be prepared. Our app will then suggest a style of beer to pair with your food, based on a specific and detailed flavor algorithm using food chosen, and preparation style. It’s that simple... By the way, that bacon Double cheese burger you’re about to eat pairs perfectly with a Killian's Irish Red. We have partnered with a Tampa Bay area app development agency, an in house graphic designer, in house web developer, and several hundred bars and beer drinkers in the Southern United States . All we need is your help! We started with building a database of nearly 300 different beer/food combinations categorized in a way that will appeal to every palate. Suggestions from our club members are encouraged and are the backbone of our app, leaving no tongue unsatisfied. We condensed our list into a manageable, relevant and useful list of more common combinations. A way to appeal to a thirst of the masses! We kept the design simple, intuitive and fun. Now we need your help to get us into production. Our app will exist to benefit the everyday beer drinker and those drinkers that order the same beer with their meal everytime they go out. You too can learn how get the best taste out of your meal! Brewmasters.Club will teach you and your friends how to better enjoy the sweet suds you already drink. We all love to learn about what we like, why not learn more about how to pair beer with food? The BMC was founded in July 2007, from humble beginnings and a few nightly trips to a local watering hole, in sunny Orlando Florida. After settling in at the bar for a few cold ones a conversation began that quickly jumped around the bar like wildfire. We began discussing our favorite beers and why we enjoyed them. The interesting thing was, that no-one really knew why they enjoyed beer, just that it tasted good, and most importantly, contained Alcohol. This question followed our founder home that night and stuck with him for all the years since. We like beer for a trillion different reasons, and every time we try something new, we discover a new reason why we do or don’t like that new and specific beer. We have spent more than five years working, learning, and drinking beer from around the world to bring a new light to beer and beer drinkers. We have dedicated years receiving training and instruction by one of the largest beer producers in the world on how to store & pour correctly and ignore the common myths about beer. We have learned from the best how to pair beer with food, no matter whats for dinner. We love meeting people that have an interest in beer, plain and simple. It will function as a pocket guide to use as often as you drink beer to pair with your food. Once the app is open, simply select the meat/food you either are eating, or would like to eat. Then select the way it will be prepared. The app will then suggest a style of beer to pair with your food and where to find it. We need your support! Please become a backer today!